Summary: CRM is evolving with new machine learning capabilities. How can this help community banks? 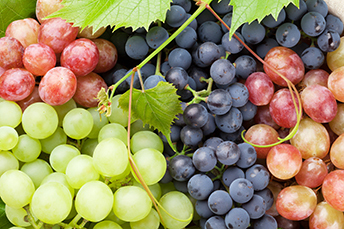 Researchers at the Icahn School of Medicine in New York have found certain compounds in grapes may help fight depression. These compounds reportedly target cellular and molecular pathways related to the immune system and that in turn could help treat depression. If grapes aren't your thing, research also finds other foods that help with depression include blueberries, yogurt and carrots. We aren't doctors, but these are all healthy foods. So, it may not be a bad idea to eat them anyway. As you ponder this today, we switch to the evolution that is slowly occurring in customer relationship management (CRM). These applications will one day use machine learning to continuously derive smarter recommendations to meet the changing needs of your customers. While this is still in the early stages, we thought it sounded pretty interesting, so we wanted to provide you with some highlights. A CRM application with machine learning capabilities uses algorithms that continuously re-analyze data sets as new information comes in. This new information is then evaluated against the data already there. This process enables the CRM application to better predict evolving patterns and re-adjust recommendations for specific actions, as situations change. Essentially, the CRM application learns on an ongoing basis how to best serve customers as their needs change. Done right, this may give bankers better information to improve sales and marketing efforts. Machine learning eventually will result in machines doing more of the actual legwork that leads to sales and service success and humans doing less (but more focused work). This means your bank can work smarter, but not necessarily harder. Consider this scenario: a CRM application determines when a banker should recommend a lockbox treasury management solution to a particular small-business customer. The application would be able to determine that this solution would fulfill a real pressing need, after the application receives notification from the bank's reconciliation system that there are reconciliation errors due to manual input mistakes from certain checks. Given this is an apartment owner, on top of that, each month at least two to three tenants' checks usually bounce. A smarter CRM will avoid hassles to manually collect the past due rent by recommending to migrate to an online lockbox for ACH payments to lessen both problems for example. Not only that, a CRM application can go even further. Augmented with an artificial intelligence (AI) assistant, the CRM application can automatically schedule the banker's meeting with the appropriate decision-maker at the apartment management company and queue up the right presentation upon arrival. Machine learning and AI can enable the same CRM application to work smarter for the bank, making sales and service calls easier and potentially far more effective. By working smarter, not harder, the banker can increase customer satisfaction and enhance customer relationships. CRM programs that collect insights from multiple sources will one day vastly increase the productivity of all bank employees across functions. This will be made even more impactful by incorporating valuable knowledge gleaned from both internal and external sources. The promise of machine learning and AI is great but there is still much to learn, so you have time. As you keep researching things of the future, keep eating healthy foods to feed your brain. Senate Banking Committee Chair Crapo said the SEC and other financial regulators may need more authority from Congress to regulate virtual currencies. Meanwhile, CFTC Chair Giancarlo said appropriate regulation may include: data reporting, capital requirements, cybersecurity standards, measures to prevent fraud and price manipulation and anti-money laundering and "know your customer" protections. For the 10Ys following the credit crisis, the Fed kept the Fed Funds Target Rate (FFTR) at a rock bottom level of 0.25% to stimulate growth. At the end of 2015, it began to reverse the stimulus by raising the FFTR and has now moved it up to 1.50%. For the math junkies out there, know that anything below 3.0% is considered stimulative, so equilibrium is about 6 rate hikes higher from here. Add to that strong economic growth, a huge shot in the arm from a lower tax rate, less regulation, and strong global growth. This mix, plus other factors, means bankers should expect our longer term rates to see pressure to rise in the coming years. Treasury Secretary Mnuchin testified before the House Financial Services Committee and said his department is reviewing existing guidance around banking cannabis businesses, as it seeks to ensure the IRS can collect taxes from these entities, along with any legal implications. Community bankers seeing long-term fixed rate demand from business clients can transform payments into a floating rate on their books using Borrowers' Loan Protection (BLP).